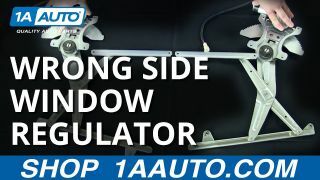 This replacement power window regulator with motor is just what you need to get your Saturn L Series in good shape again! This Saturn L Series power window regulator with motor makes a great replacement and has good cost savings over a dealer unit. This window regulator is a high quality aftermarket part that meets or exceeds the performance of the original. It has been subjected to extensive testing and quality control standards. That is why we offer this regulator with our superior warranty!